Curve Securities is pleased to support a number of organisations, charities and events. We acknowledge the support we have received from our clients, suppliers and partners and the contribution this has made to our rapid growth and this is our way of giving something back. Curve was once again a sponsor of the conference in Terrigal NSW. There were over 200 delegates from the NSWLocal Government community at the ‘Future is now’ conference. It was a great opportunity to meet with our valued NSW council clients face-to-face and share experiences. 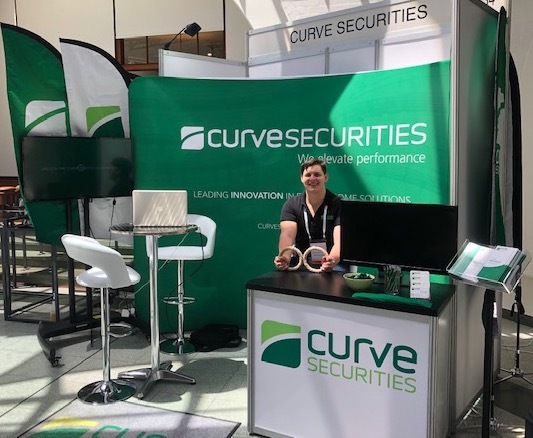 Curve was proud to be a sponsor of the conference in Melbourne VIC. It was a great opportunity to meet with our valued ADI partners and discuss ‘The Challenge of Change’. The Royal Commission investigation & findings and the regulatory changes are just the half of it. There are also a number of disruptive factors that have emerged in more recent years and evolve on a daily basis. The emergence of artificial intelligence, the reliance in technology, the need for automation and the importance of data. Andrew Murray, David Flanagan & Alex Young were excited to listen to a diverse range of speakers who made them think, challenge and inspired them to return to Curve and find a way through ‘The Challenge of Change’. Curve was once again a gold sponsor of the conference in Lorne VIC. There were over 200 delegates from the Victorian Local Government community at the ‘Waves of Data’ conference. It was a great opportunity to meet with our valued VIC council clients face-to-face and share experiences. Our team also demonstrated the Curve Portfolio Manager and our CEO Andrew Murray presented on the importance of data management. 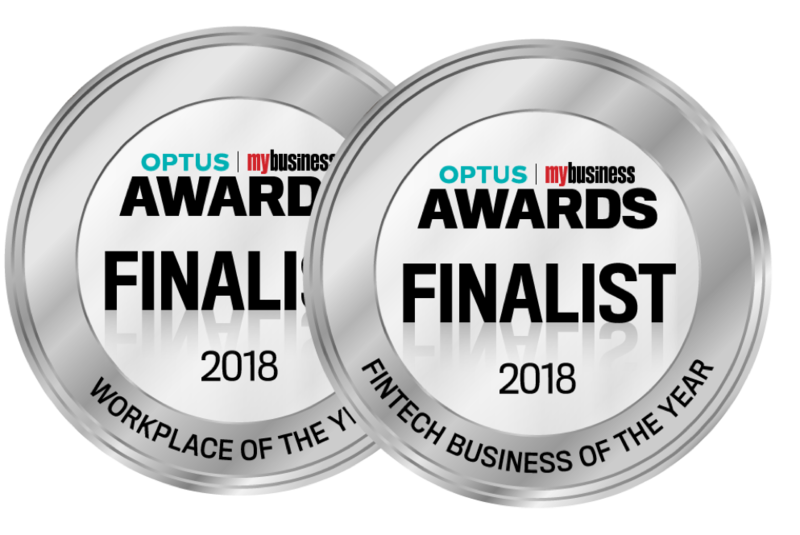 Curve was announced as a finalist in the Optus Business Awards in the following categories- Fintech Business of the Year and Workplace of the Year 2018. Well done team! Curve manned a stall at the LGFP of QLD in Cairns. There were over 250 delegates from the Queensland Local Government community at the annual conference. It was a great opportunity to meet with our valued QLD council clients face-to-face and share some stories. Our team demonstrated the Curve Portfolio Manager which by all accounts was very well received. Curve was announced as a finalist in the Optus Business Awards in the following categories- Fintech Business of the Year, Workplace of the Year 2017 and Business Leader of the Year 2017. Well done team! 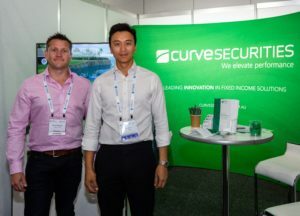 Curve had a booth at the 2017 FinPro Conference held at Mantra Lorne, Victoria. We had the opportunity to meet with the councils who we assist throughout the year investing their funds. The conference was a great success with over 215 delegates, 20 speakers and 21 sponsor organisations all contributing to the theme of “Leading Transformation: Innovate Integrate Motivate”. Curve CEO Andrew Murray was selected to present at the conference and talked about “Transformation: the Moment of Change is the Moment of Opportunity”. Curve were delighted to host a stand in partnership with ETOS at the Customer Owned Banking Convention. The event held in Adelaide from September 24th to 27th had the theme ‘Lead, Change and Grow’. David Flanagan, Director for Interest Rate Markets, and Alex Young, Associate Director for Interest Rate Markets, thanked everyone who visited their stand entered their competition to win a gift voucher for Red Balloon. The annual Customer Owned Banking Convention, presented by the Customer Owned Banking Association and the Australasian Mutuals Institute, is widely recognised as an inspiring thought leadership forum. It is always enthusiastically attended by those in the industry from across the nation. This year the Convention was attended by the majority of credit unions, building societies, mutual banks and friendly societies as well as a large number of affiliate members. There were also a number of international attendees from the Asia Pacific region. The Conference program not only provided a range of networking opportunities but also some interesting thought debates around the chosen themes. Curve was again proud to be associated with such an engaging event as the bus sponsor. Transporting delegates to and from the convention venue in air conditioned busses was enthusiastically welcomed by all delegates given the Darwin heat. The convention was attended by Curve’s David Flanagan and Managing Director Andrew Murray. We look forward to continue working with our customer owned banking partners, as well as the broader industry, well into the future. AFL Central West held it pre-season meeting to launch the 2015 season last Sunday with all Clubs looking forward to the 2015 season. The League has expanded to eight clubs in 2015 with the re-entry of the Parkes Panthers into the reserve grade competition after a two year recess joining the current Clubs of Bathurst Bushrangers, Cowra Blues, Dubbo Demons, Mudgee Black Swans, Orange Tigers Young Saints and Junior Club Bathurst Giants.